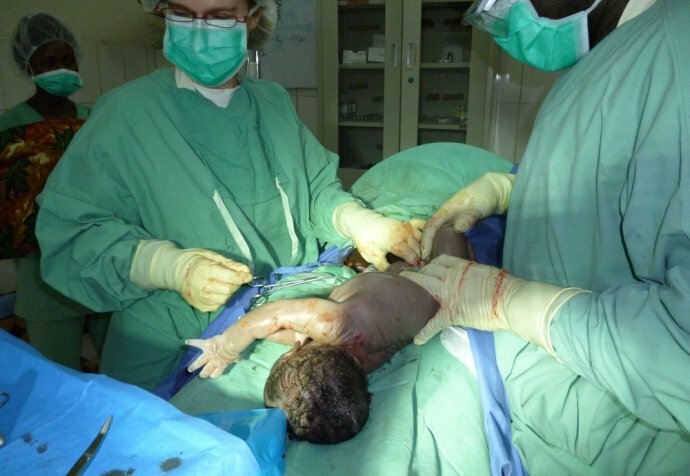 Dr Claire Fotheringham works for Médecins Sans Frontières as an obstetrician-gynaecologist, mostly as an obstetrician, to reduce maternal mortality in various places in the world where it is very high. Returned from her third placement, in Democratic Republic of Congo, she describes the beautiful but tough terrain, and the when-all-else-fails lifeline for reaching healthcare: the human “helicopter”. ”Masisi is in the north of DRC and it looks like Switzerland. There’s mountains and grass; there were cattle. It’s green, it’s lush. It’s on the Equator but at an altitude of over 1500m. It rains every day except for the dry season which is two months long. It’s difficult to get in as a result because the roads aren’t paved. The day that I arrived we took a car from Goma until the first landslide. We walked across it to be picked up by a second car—what’s called a ‘KISS movement’. That took us a little bit further, but we were blocked by another landslide, so we ended up on motorbikes. And when the motorbikes couldn’t go any further, we started walking. You’d get off the motorbike and it would be pushed through the mud while you’d walk around before remounting. The 80km took almost the entire day to get there. "We were blocked by another landslide, so we ended up on motorbikes. And when the motorbikes couldn’t go any further, we started walking"
From a work point of view, this makes it a bit difficult in terms of transferring patients. 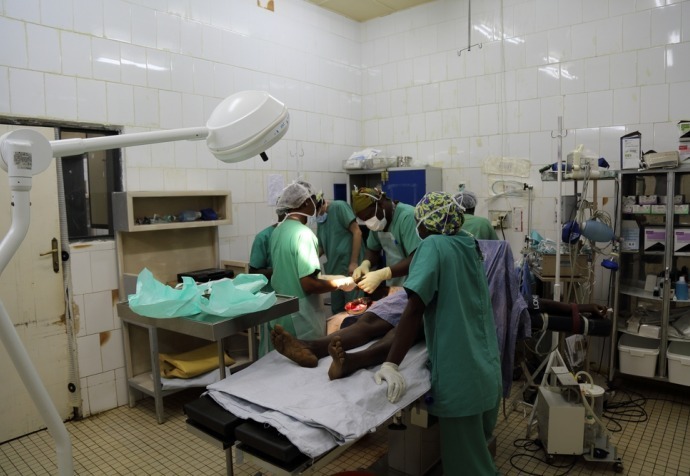 Médecins Sans Frontières has been supporting Masisi Hospital since 2007 including the comprehensive emergency obstetric and newborn care facility attached to the hospital. The whole basis of this “comprehensive” centre is that it is a higher level referral hospital for complicated cases that cannot be managed in a basic centre. Médecins Sans Frontières runs 4WDs as ambulances, yet we still face problems when there’s a complication, getting patients from one area to the next. One night, a woman presented at a clinic and they called the hospital about a transfer, but due to insecurity there are difficulties with transfers at night. So she came instead by what is commonly known as “helicopter”. She was put on a stretcher and carried by the men of the village. This involved 20 or 30 of them, running with the stretcher but taking it in turns to carry it, six to eight men at any one time.